With numerous fans and followers, Dariush Eghbali is one of the most famous of Iranian singers and songwriters. Dariush is best known for his warm and plaintive bass voice heard in both ballads and political songs. He is also a social activist who directs a recovery center for substance abuse called the Ayeneh Foundation. Eghbali was born in Tehran on February 4, 1951. He spent his early life with his family in Karaj and Kurdistan. In 1971, he was introduced to the public by Hassan Khayatbashi. Dariush's first song that hit the charts was "Don't Tell Me You Love Me," and after the single's release, he immediately achieved recognition in Iranian popular music. Since then he has recorded more that 200 songs, most of which share similar themes. Songs performed by Dariush before the 1979 Islamic Revolution can be categorized mostly as ballads, and although he has recorded a greater number of political songs since the Revolution, he had performed a few political songs before the Revolution as well. Dariush has issued up to 25 albums to date, all of which were at least somewhat successful. Among his songs, those recorded prior to the Revolution as singles have since been compiled on a number of albums. Like almost all Iranian artists (especially musicians) who left Iran after the Revolution, there dwells in Dariush's music a deep need for returning to Iran once again. 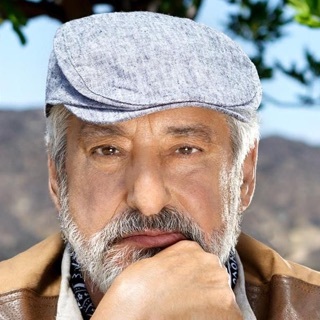 Through his musical life, Dariush has worked with lyricists like Iraj Jannati Ataee, Ardalan Sarafraz, and Shahriar Ghanbari, as well as renowned composers such as Ahmad Pejman, Farid Zoland, and Varoujan. He also has considerable respect for traditional Iranian poets like Rumi and Hafez. Dariush participated in two films as an actor before the Islamic Revolution, Yaran and Faryad Zir e Ab. In the late '70s Dariush was hospitalized after being sprayed with a caustic substance in an attack by an apparently deranged fan. During treatment he used morphine to relieve the pain, and became addicted. Dariush suffered in this condition until recent years when he was finally able to free himself from the grip of addiction with the assistance of specialists; subsequently, Dariush and two physicians founded the Ayeneh Foundation, which has seen considerable success in its treatment of addicts. Dariush has also developed and participated in radio and TV programming aimed at empowering people to confront and overcome substance abuse.